7 days from £2045pp plus international flights. A great combination of activity and wildlife viewing on the action packed family adventure. Sun City is the perfect family holiday destination with a wide variety of activities and fun to keep the whole family happy. You can while away the hours at the amazing water park with a wave pool, a huge water-slide, or perhaps spend time at the 'beach' by the hotel pool. Why not have your first safari while you are here and venture on a game drive in the Pilanesberg Reserve, this is after all Big 5 country and who knows what you might see. Two days and three nights of fun to be had here. Then it's off north to the Madikwe Reserve on the border with Botswana. 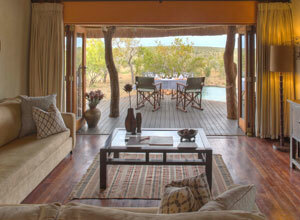 This is where you will have a full-on safari experience backed up with awesome South African hospitality. The experienced guides will show you how its done and share their knowledge with you on the game drives. If you want to try your hand at bush walking, this can be arranged at an additional local cost, another feather to your bow? Smaller children can be catered for back at camp with exciting nature walks showing them the smaller inhabitants of the area such as millipedes, and older children can join the safari vehicle to go out in search of larger animals that roam the area. 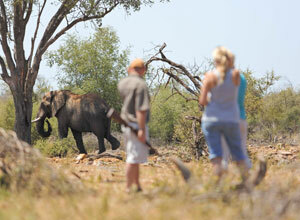 This holidays provides a great balance of adventure and wildlife and is sure to be a hit with all the family. If you have any concerns or wish to tailor this trip to better suit your own family, then let us know, tailor making holidays is what we do best. You will be met on arrival at OR Tambo International Airport and assisted through immigration and customs. 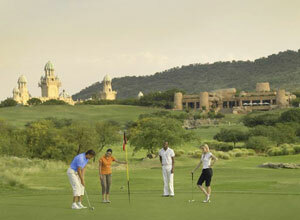 Your driver will be waiting to take you to Sun City, a journey of about 2 hours through changing scenery. This is the perfect getaway for families or couples alike, with plenty to do and see, with the Pilanesberg Private Reserve on the doorstep. Why not unpack, unwind and take a stroll around the grounds and plan your next few days. There are a number of options for dining this evening, so something is bound to appeal. 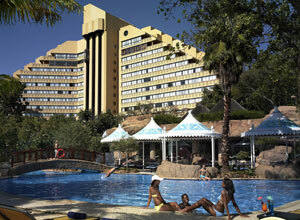 Sun City is as popular now as it was when it was built back in 1979 and there is plenty to do for all the family. One of the main attractions is the Valley of Waves, a world-class water attraction where you can spend hours having fun. There are water slides a-plenty and the Roaring Lagoon, a wave pool or the Temple of Courage, a 70 metre water-slide. For those seeking a slower pace, then the Lazy River non-stop tube ride could be the perfect solution. There are two world-class golf courses at Sun City, one designed by Gary Player, and one named after him - they offer two different golf experiences. For those over the age of 12 there is a 2 km long zip-line, a sure way to get the adrenalin pumping. After an action packed day of activities you have a choice of venues for dinner. Breakfast. 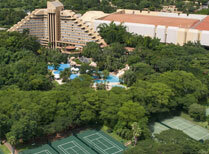 Today you have another whole day to spend at Sun City. After a leisurely breakfast you can set off exploring once more. Why not try out a jet-ski, enjoy a spot of water-skiing, or horse riding. You can also hire bikes to explore more of the resort. After a hard day of adventure and exploring you could finish off with a bit of swimming in one of the 3 pools, and relax on the private beach complete with palm trees, sun beds and umbrellas or have a pampering treatment at the health spa adjacent to the hotel while you decide where to eat tonight - choices, choices. Breakfast. Enjoy a final breakfast at Cascades and perhaps a stroll around the gardens before being collected for your private transfer to Madikwe. The drive will take about 2 and half hours so you can sit back and relax as the scenery whizzes by. After a warm welcome at Rhulani Safari Lodge, you will have a chance to unpack and settle in before joining the other guests for afternoon tea. This will be followed by a game drive out on the reserve with your qualified guide who will gladly share his knowledge and game-spotting tips with you. 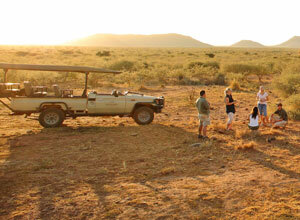 There will be a stop for a sundowner, no afternoon game drive would be complete without one. 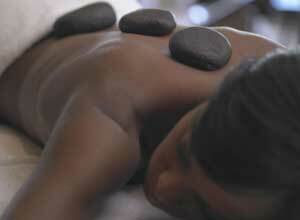 You will head back to the lodge with time to freshen up before a delicious dinner is served. Breakfast, dinner. It's up with the sparrows while at Rhulani, enjoy a hot cup of coffee before setting out to see what wildlife is out and about. Half way through the drive, you'll stop to stretch your legs and have some refreshments before continuing the game drive. Back at the lodge the staff are working hard to prepare a hearty breakfast for you to enjoy on your return. You can spend the rest of the morning and early afternoon at leisure either in your room or relaxing by the pool before high tea is served at 3 pm. Then it's time for another game drive with your guide showing you the way. Dinner will be served at about 8 pm and then you might want to sit and chat with fellow travellers around the fire as you enjoy a nightcap. Brunch, high tea, dinner. After your morning game drive and another hearty Rhulani breakfast, it's time to pack your bags and say goodbye. Your will be collected and driven to OR Tambo International Airport. With a journey time of 4 hours you could have a cat nap, or simply think about the wonderful trip you have just experienced. VIP meet and greet, 3 nights accommodation at Cascades (BB), and 3 nights at Rhulani Safari Lodge (DBB). At Rhulani 2 game drives per day and 1 sundowner drink per day, all road transfers. International flights, departure taxes, visas, travel insurance, meals not specified, drinks, park fees at Madikwe, bushwalks and massages at Rhulani, items of a personal nature, tips. This holiday starts in Johannesburg. International return flights from the UK start from around £850, depending on season and availability. Madikwe covers 75,000 hectares in the north west of South Africa, adjoining the border with Botswana, about 4 hours drive from Johannesburg. 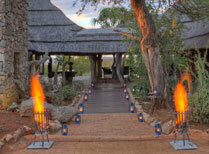 Rhulani means "relax" so stay here and enjoy the malaria free Madikwe Reserve and superb African hospitality. Named after the waterfalls that are found throughout the property, Cascades offers peace and tranquility amidst a host of activities. Start planning your tailor-made holiday to South Africa. Tell us what you want, and we will tailor make your perfect trip.  Flight time: There are daily flights from Europe to Johannesburg (about 10 ½ hours direct) and Cape Town (about 11 hours). There is also a good network of domestic flights connecting all main towns.  Language: English is South Africa's main administrative language and is widely spoken. There are also 11 official tribal languages.  Visas: Visas are not required for British passport holders.  Health: No vaccinations are compulsory. Malaria is found in certain areas (mainly Kruger and the east coast towards Mozambique), but not throughout the country. * Which countries/regions do you want to travel to? * Where did you hear about us? *We'd love to send you information about the world’s natural beauty, exciting wildlife, and fascinating cultures. Special Offers never go amiss either, do they?! Our "Book of Unmissable Travel Experiences - Book Two" includes some inspiring ideas which could be the holiday experience you're looking for. You will find an online version of our brochure which you can flip through at your leisure. Please feel free to add any further information. Our e-newsletter offers you travel inspiration, with gorgeous and exciting places to go or stay, plus special offers, and some insight into sustainability/conservation.